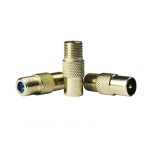 TV Cable Connector (IEC Male) is used for mounting on a coaxial cable, Series 6 (RG-6, F660, F690) by screwing. 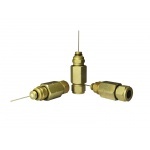 The main purpose — to connect TV sets and DVB-C, DVB-T2 receivers of subscribers. 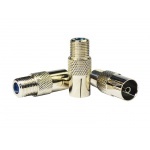 ТV-male/F-female adapter for connection of television cable equipped with an F-type connector (3/8” thread) to a TV socket. 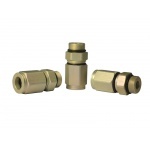 Series 11 cable connector, crimp type, with collet-type central contact, brass, wrench size 0,475”. 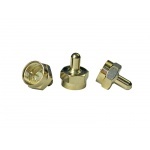 Cable adapter for connection of a television cable equipped with an F-type connector (3/8” thread) to amplifiers or splitters with 5/8” input connectors. 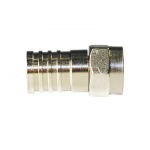 Aluminum alloy. 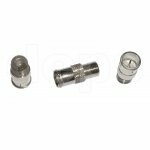 TV-socket Cable Connector (IEC Male) is used for mounting on a coaxial cable, Series 6 (RG-6, F660, F690) by screwing. 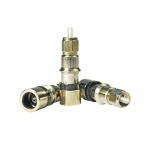 Main purpose - to connect TV subscriber cable to TV sockets and DVB-C, DVB-T2 receivers. 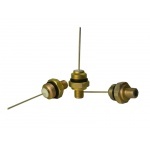 75 Ohm load resistor, F-type thread (3/8”). 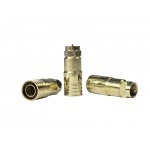 Connector Trilink F7T is designed for installation on TV cable, Series 7 (F760, F790, RG-7). 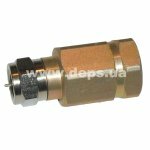 This connector has the simplest and most common design. 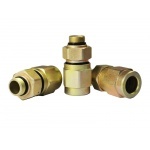 No special tool is required for connector installation — its enough to terminate the cable properly and to screw connector by hand. 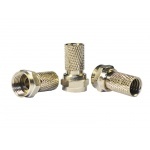 ТV-male/F-female adapter for connection of television cable equipped with an F-type connector (3/8” thread) to a TV socket or a TV set. 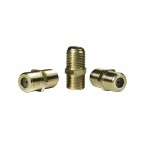 Cable connector of series 11, compression type, with collet-type central contact, brass. 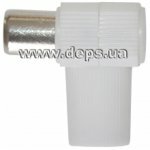 5/8М cable connector, designed for connection of series 15 television cable, with the central cable core pass. 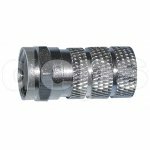 5/8” thread, 2 sections, aluminum alloy. 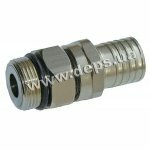 Cable adapter between two 5/8M connectors. 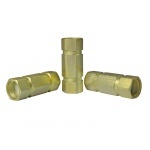 5/8М cable connector, with the central core pass for connection of series 11 cable, crimp with the check nut, wrench size 0,475 “. 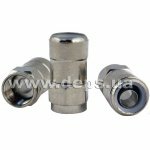 5/8М cable connector, designed for connection of series 15 television cable, 5/8” thread, 3 section, aluminum alloy. 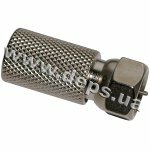 5/8М cable connector, designed for connection of series QR-540 trunk television cable. 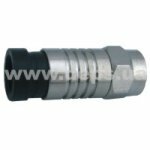 5/8” thread, 3 sections, aluminum alloy. 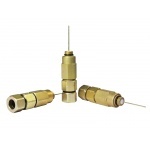 Connectors and adapters for coaxial cables of various types.